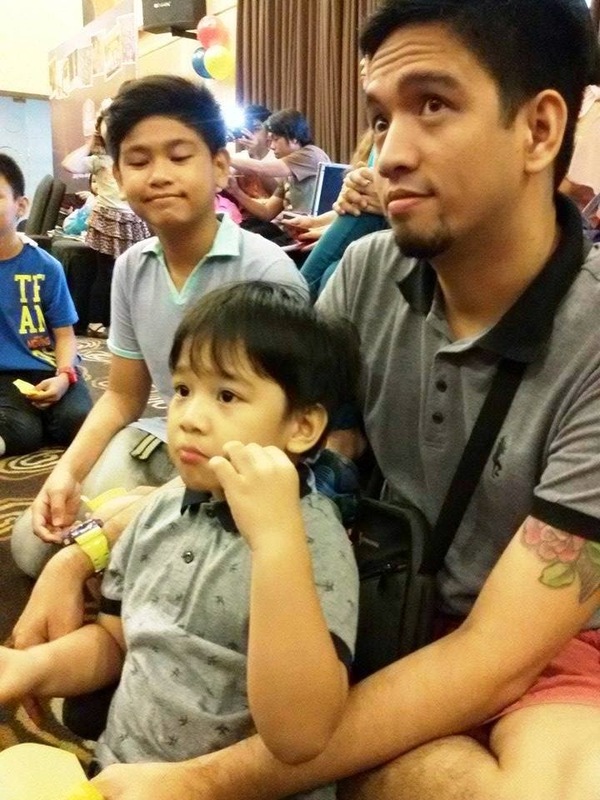 It's been a conscious effort of mine since I had a child to bring them to Easter Sunday activities such as what we attended last weekend, "Zoo Fun Easter" at BEST WESTERN PLUS Antel Hotel, in Makati City. 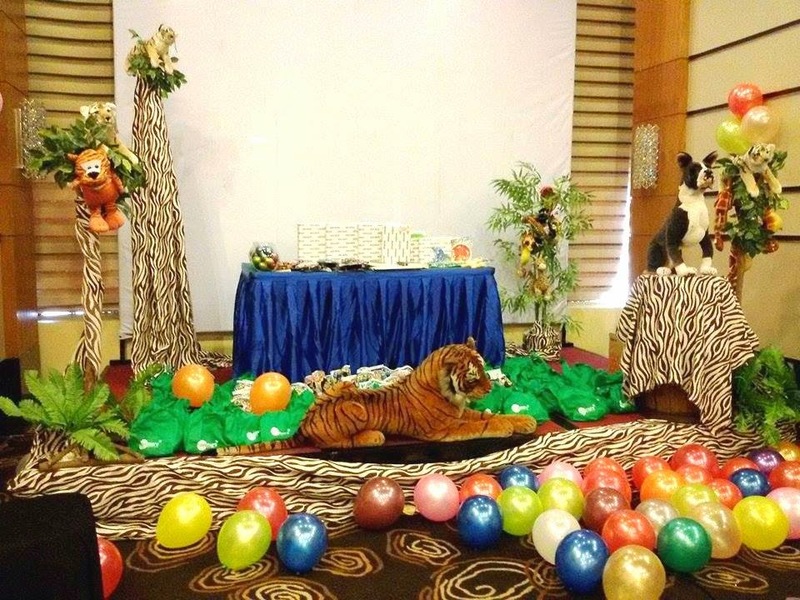 Their theme for this year is Zoo Fun and boy, did my kids truly enjoyed (like ride on that tiger and get the other stuffed animal toys) This was their stage set up last Easter. It definitely had that Safari and Zoo feel right? 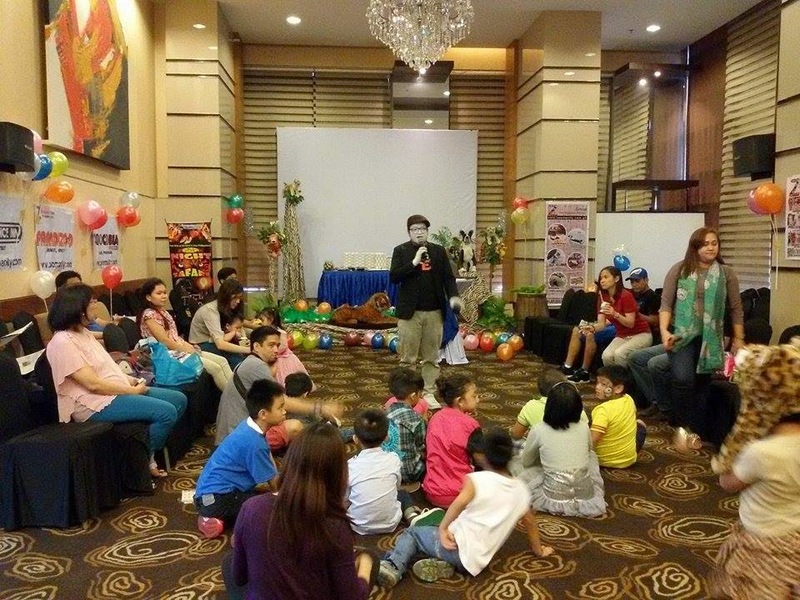 A lot of kids were in attendance and attentive to the host-magician-balloon-twister-clowns. The afternoon was packed with activities to keep all the kids busy. When we arrived the venue, the program was already starting and the room was filled with laughter. 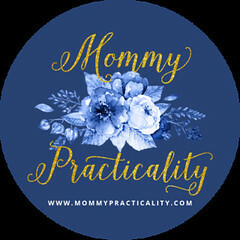 These were some of the activities which Macky and I found entertaining and enjoyable. There was a face painting station on the side which kids lined up for. Unfortunately for us, we weren't able to have our faces painted. 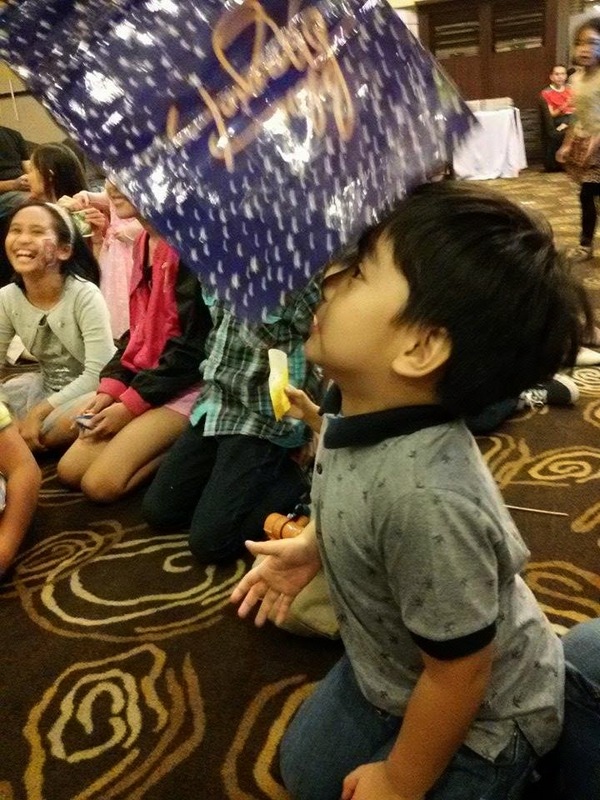 Balloon twisting into different shapes and forms, like animals, swords and flowers, was very popular among kids. 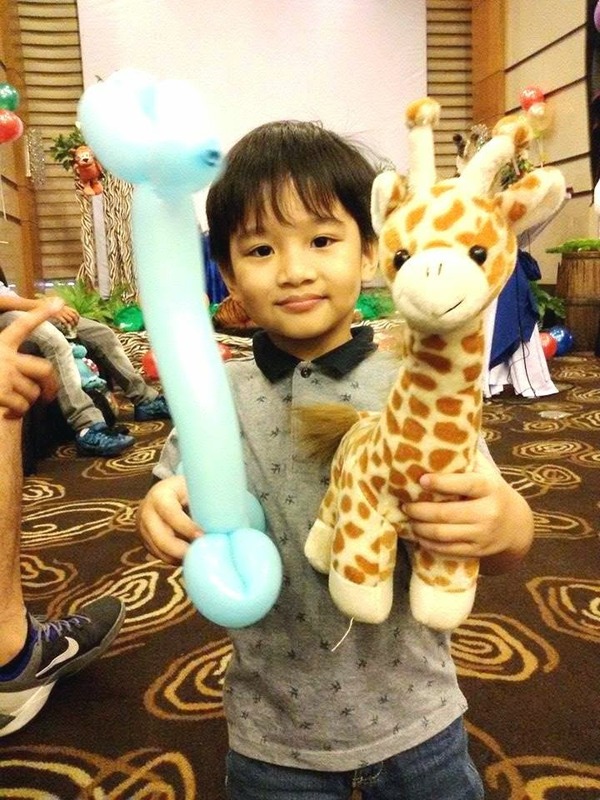 My Wessie got a giraffe, the reason why he went in front of the stage and got a giraffe stuffed toy so I could take his photo raw. 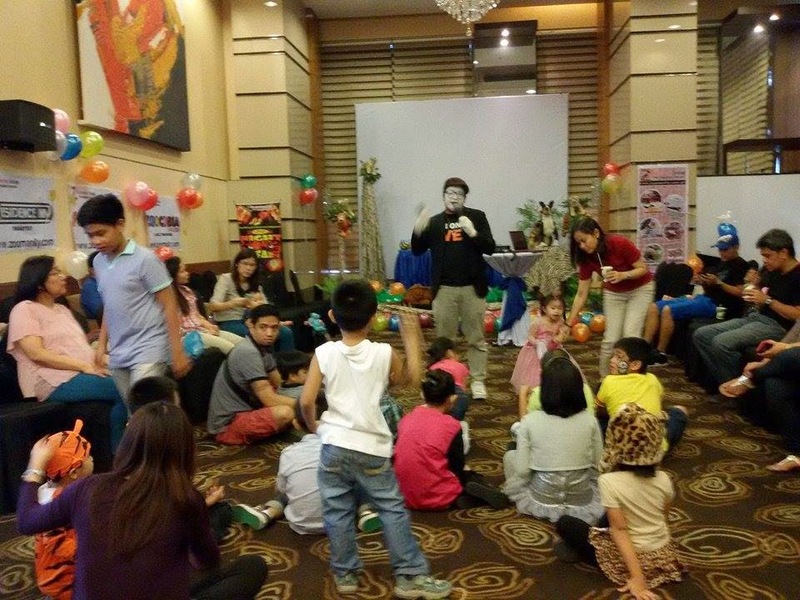 Of course, there were games for the kids and also moms (which I wasn't able to participate). But my almost binata son did, because he was pulled by the host to the center. He was actually shy at first and didn't want to join because he said he's too old/big for that. 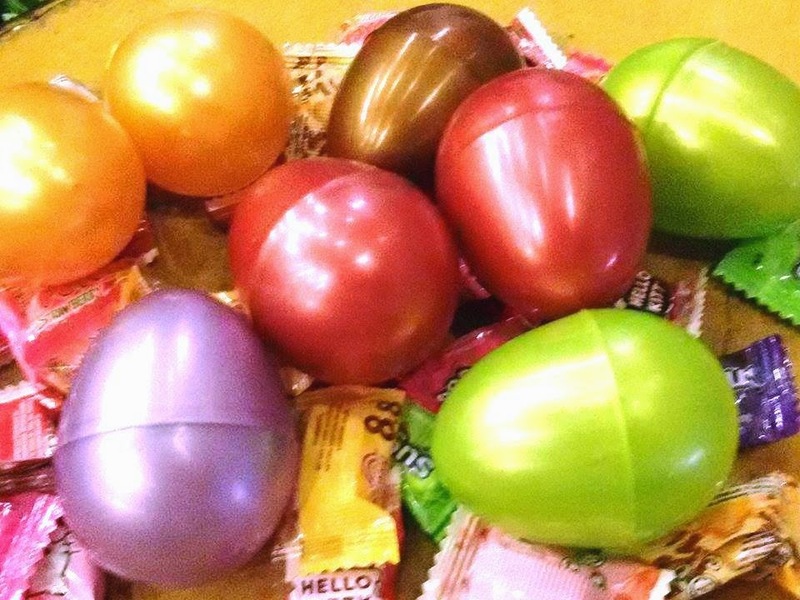 But here he was, saying the longest Happy Easteeeeeeeeeeeeeeerrrrrrrrrrrrrr. He won! 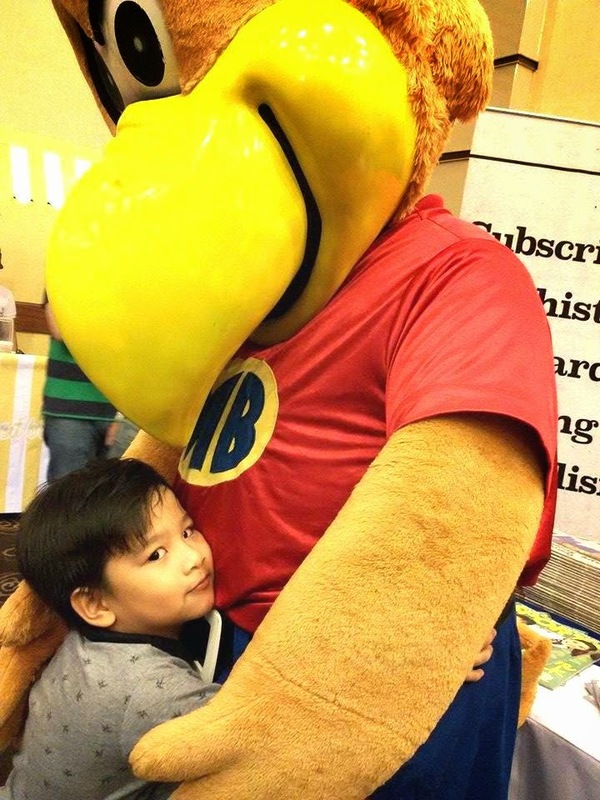 The mascot appearance of Manila Bulletin's cute bird character made the kids go crazy! Photo op was in order and so this came about. 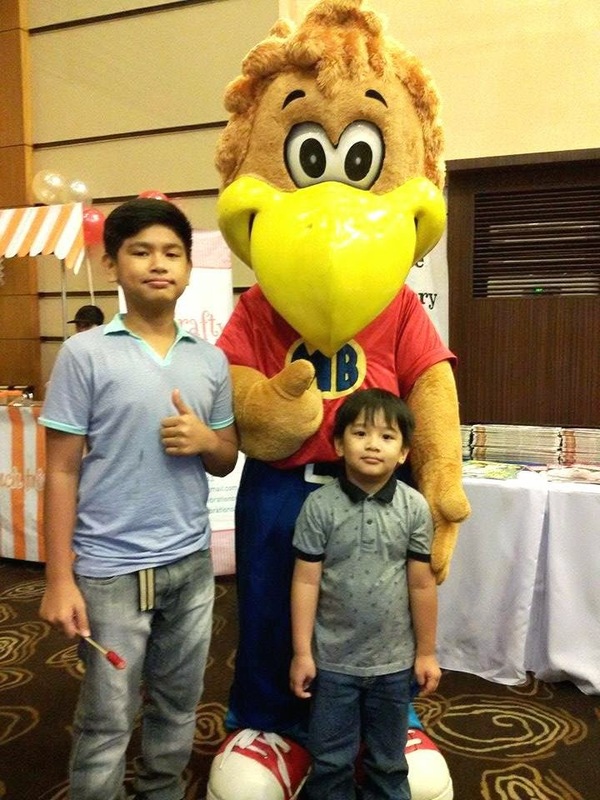 But my younger son hanged out with the mascot so much longer than any other kid during the event. 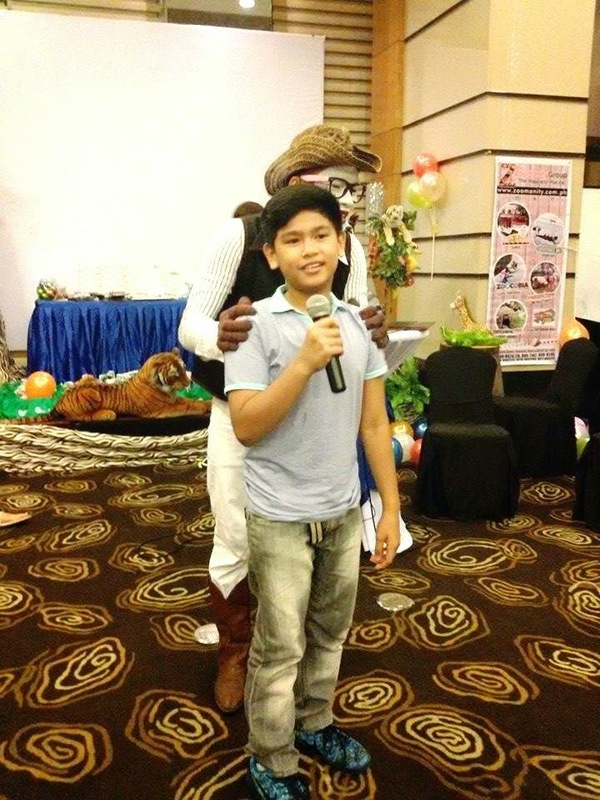 He was dancing with the mascot and hugging it too! He was such a darling! 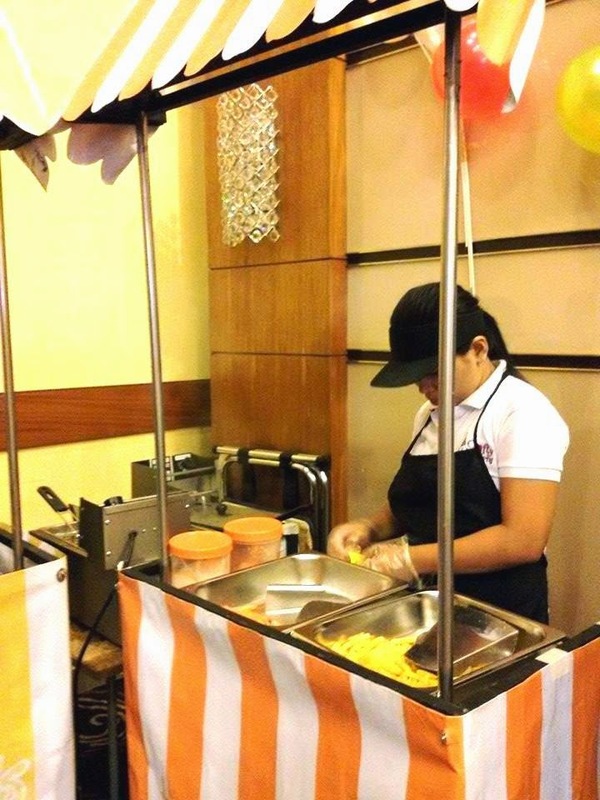 Snacks in food carts were available for all the guests to partake while the program of activities were on-going and before lunch was served. 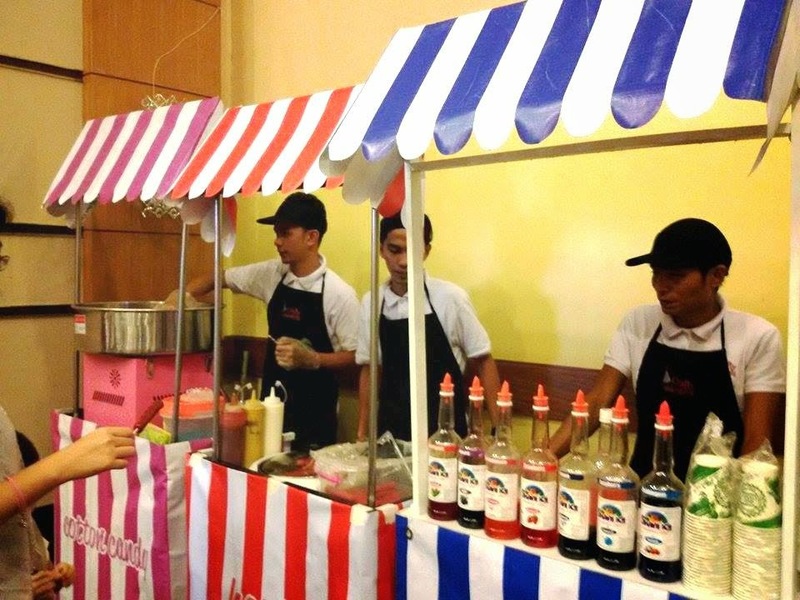 We had French Fries, hotdog on stick, cotton candy and snow cone. 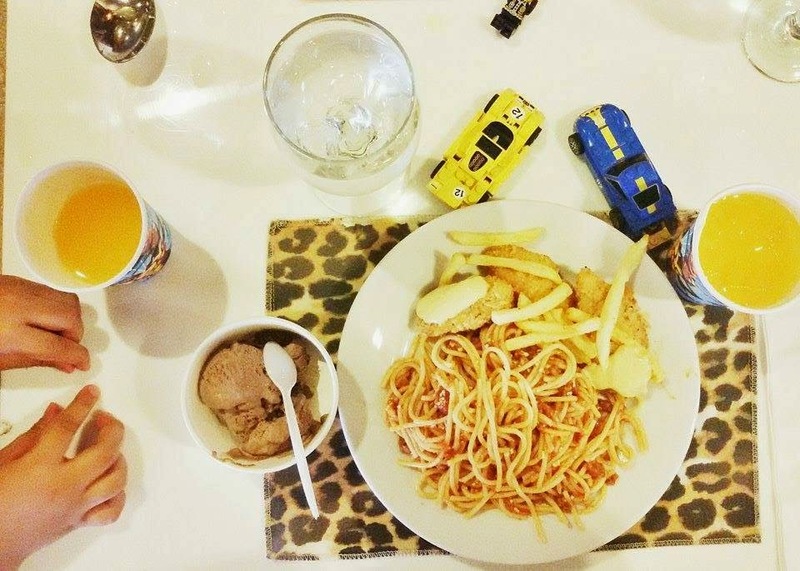 For lunch, we had Spaghetti, Chicken fillet with Tar-Tar sauce, fries, orange juice and a cup of Big Scoop ice cream. We love Big Scoop, so my older son and I stayed a bit longer to get and finish extra servings. But I am very happy to receive as our prize the book which C.N. 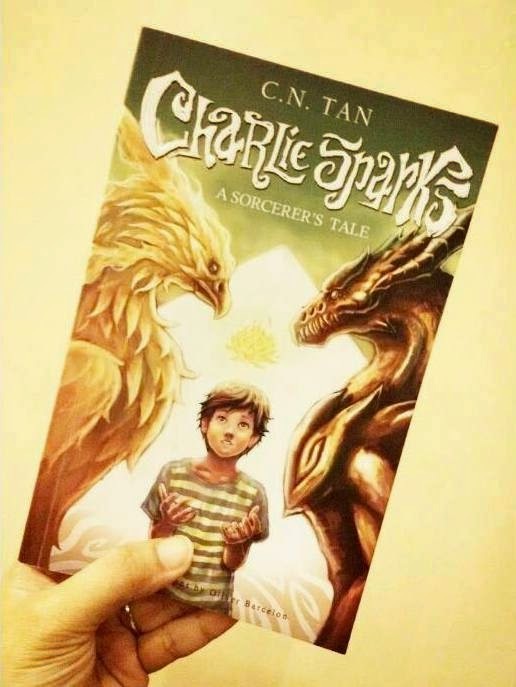 Tan wrote: "Charlie Sparks, A Sorcerer's Tale," because my kids like reading books! 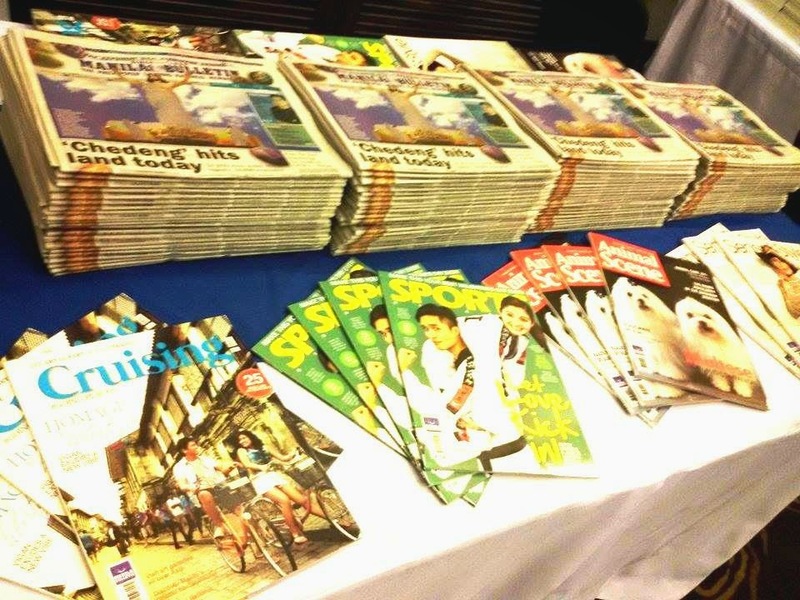 Manila Bulletin newspaper and magazines were given away to guests as part of our treats! 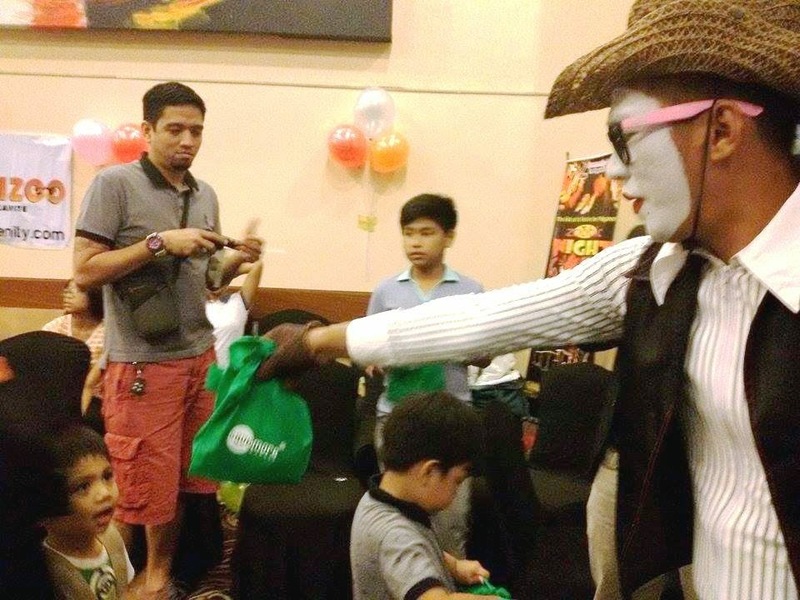 At the end of the event, loot bags with lots of candy treats from SM Supermarket were given away to all the kids to take home! No one came home luhaan for sure! Everybody went out of the venue with cheerful faces, I know so, because we did! 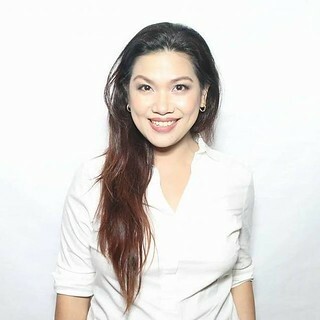 Thank you Jeoff Solas of BEST WESTERN PLUS Antel Hotel for inviting our family once again to your event! 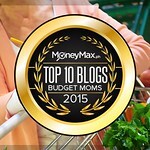 We definitely had a great time and it was truly a memorable event for the family!